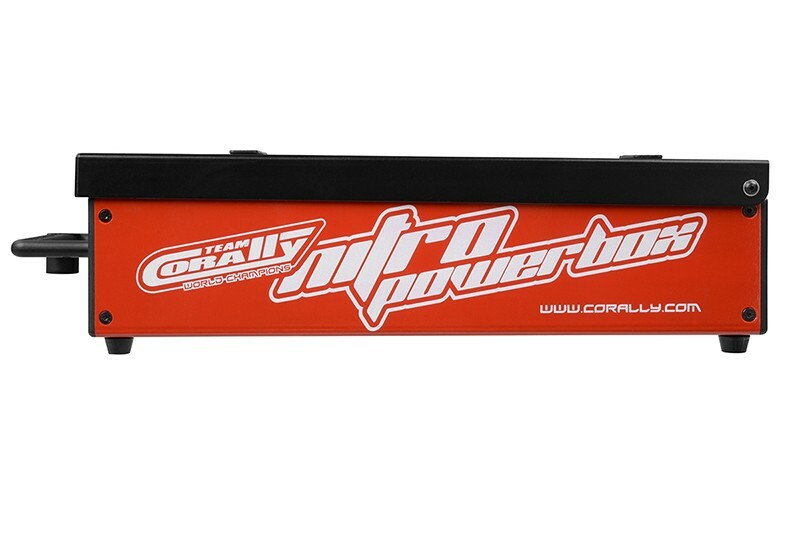 The Team Corally professional 1/8 Off-Road Nitro Powerbox. Powerful, affordable, reliable. 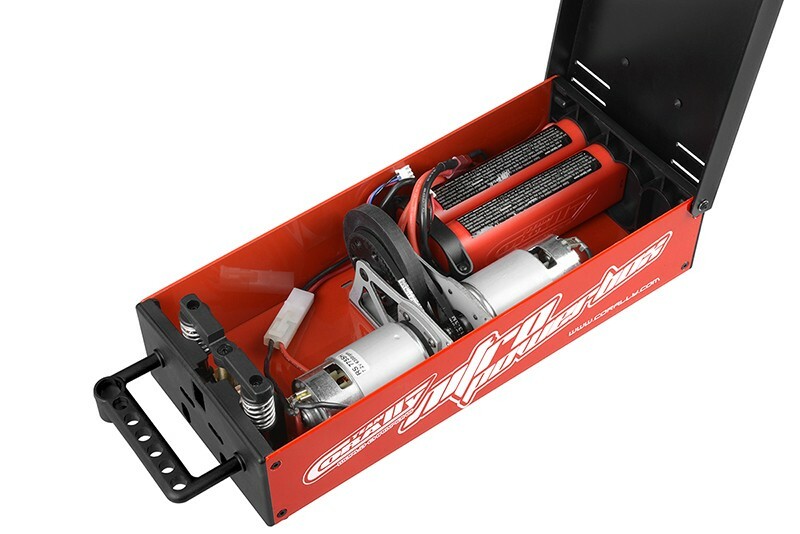 The Nitro Powerbox is developed to provide 1/8 scale off road enthusiasts with a starter box that exceeds expectations. Breaking in a new engine? 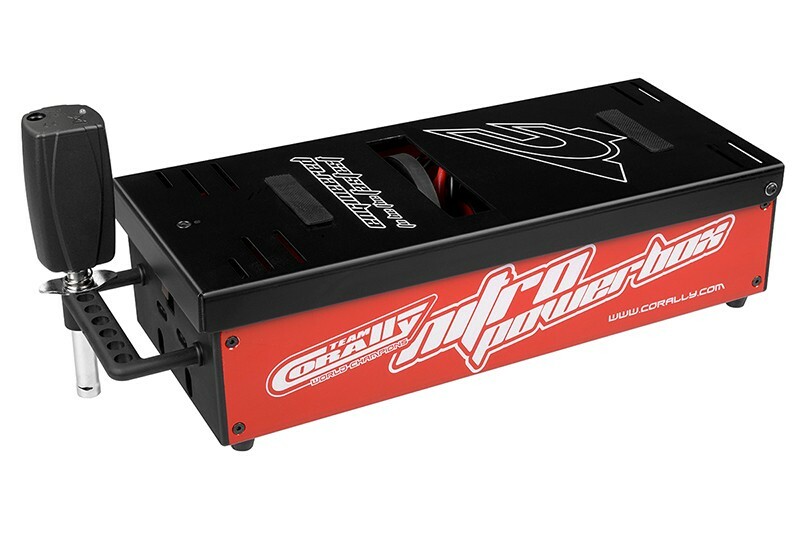 Tight engines are no match for the Nitro Powerbox. With the twin 6300 RPM - 750 size motors, the Nitro Powerbox delivers the power needed to turn over the most stubborn engines. 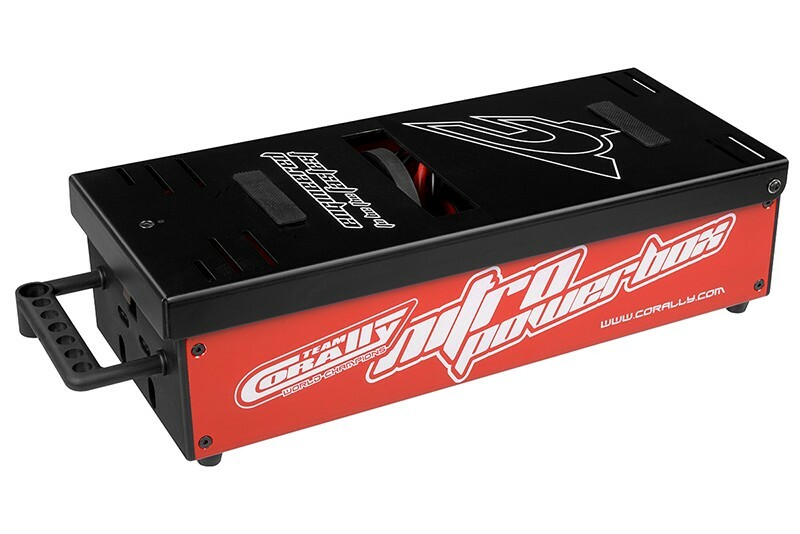 providing an easy to use setup that is compatible with batteries you probably already have on hand. Another unique feature is the quick access cover release tab that exposes the inside of the starter box without the need for tools. When its time to get inside the box, simply press the tab and lift the lid! 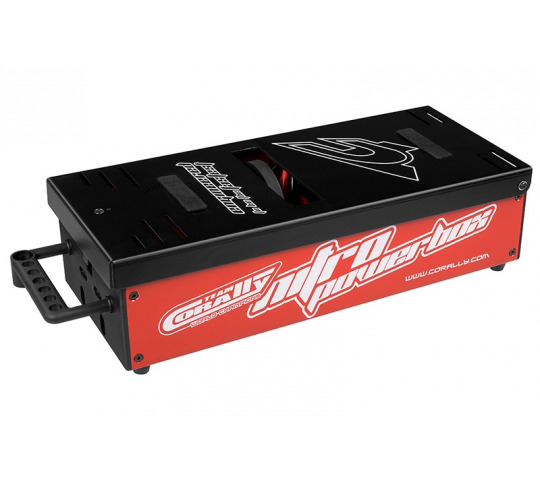 The TC Nitro Powerbox provides nitro enthusiasts with a powerful and affordable solution that wont leave you stuck in a pinch.